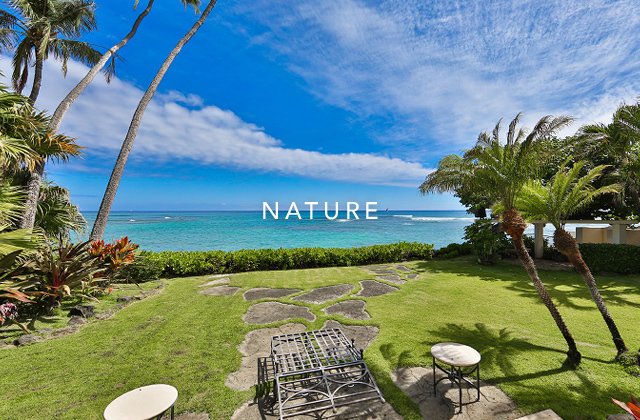 one of the best resorts in the worldWhy is Hawaii ideal for real estate investment? Hawaii is considered to be one of the most attractive resorts, not only by Japanese people, but by people from all over the world. 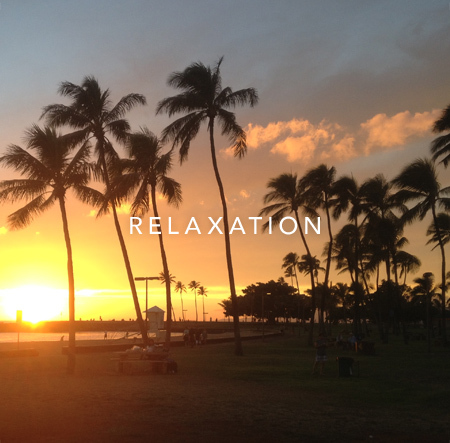 First and foremost, Hawaii’s best asset is its year round warm climate. In addition, not only is it one of the safest places in the U.S., in its typical island style, time moves slowly and relaxed and people are friendly. While the ocean expands in front of us and the mountains curtain us from behind, any modern home comfort is available, including a collection of world famous fashion brands that line the malls, making Hawaii the perfect balance between island and urban life. Because we have a long history of immigrants from Japan, the culture they brought with them has now become a common place in the Hawaiian culture; you will find shrines in town, Japanese diet with rice, among other things, making it very easy and comfortable for the Japanese people to live here. You can pick up your Japanese life style and place it right in the ideal resort. The distance between Japan and Hawaii makes traveling easy and the culture is a great mix of both countries. Being an island State, there is limited land space available for the development of real estate (single family homes and condominiums). The supply of properties is so limited for this highly popular resort that it is unlikely that the value of these properties will make a drastic drop. As you can see in the attached graph, historically the value of properties has been rising. Furthermore, recently an upward trend has picked up its speed. For those considering rentals, demand from the number of people seeking extended stay, exchange students, people in the military is so strong and keeps the occupancy rates high, posing very little risk for vacancies. For those considering investment in overseas real estate, there is no other place that meets these desirable conditions. 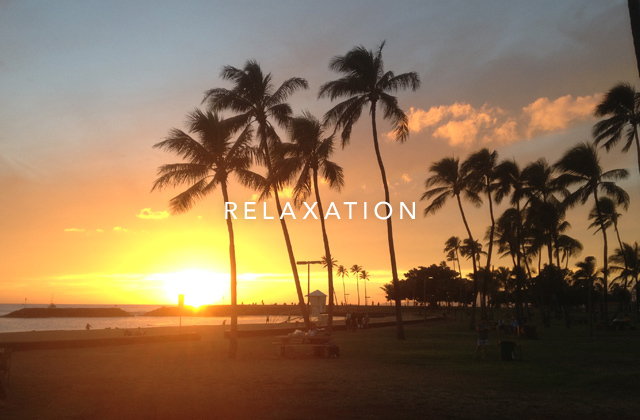 Hawaii is comprised of eight islands but is generally known for the six main islands. The Island of Oahu is the core island with its politics and economy, while the Island of Hawaii is known for its biggest land area. The other islands are Maui, Kauai, Lanai and Molokai. Each island is blessed with year round warm weather, various activities such as golf and marine sports, and of course the abundance of nature, and all attract very large numbers of tourists. 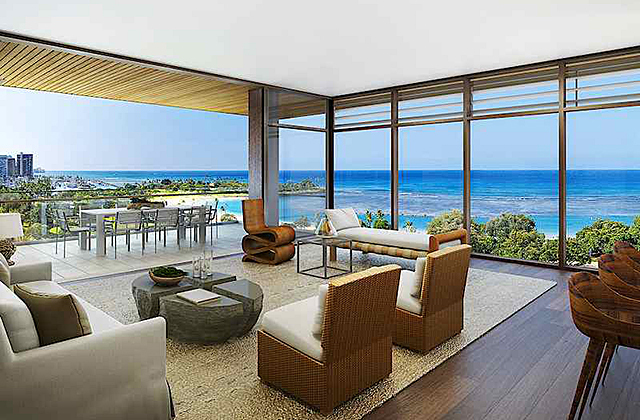 The Island of Oahu, with a variety of properties, is most popular among Japanese buyers. Waikiki, located in the southern part of the island, is the center of tourism and areas next to it are Ala Moana and Kakaako where new constructions of condominiums are booming. Kailua and Lanikai, North-East of the island, are also becoming popular among tourists. Ko-Olina, located in West Oahu, and North Shore, known as the surfer’s mecca, have their own unique characters as well. 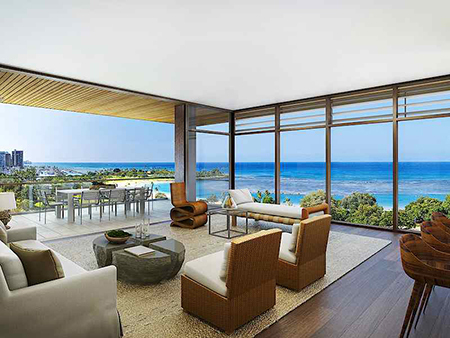 “The Ritz Carlton Residence- Waikiki Beach” is a new condominium project, an example of new phenomena in Waikiki where they have been lacking in new construction projects for a very long time. 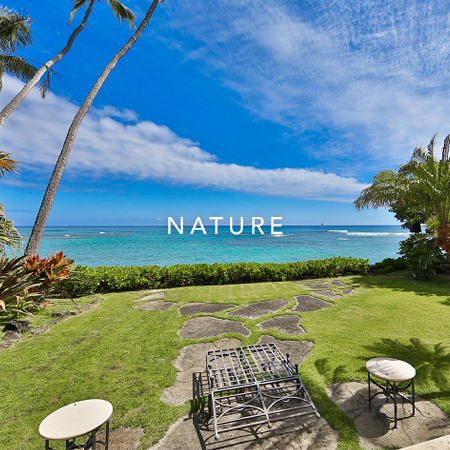 One of the characteristics of Hawaii real estate is that it offers a variety of unique attractions. Demands are so strong from buyers, that the time between listing and closing is becoming shorter and shorter. In these circumstances, it is important to make a quick decision; it is the time to buy when you think "I like it". 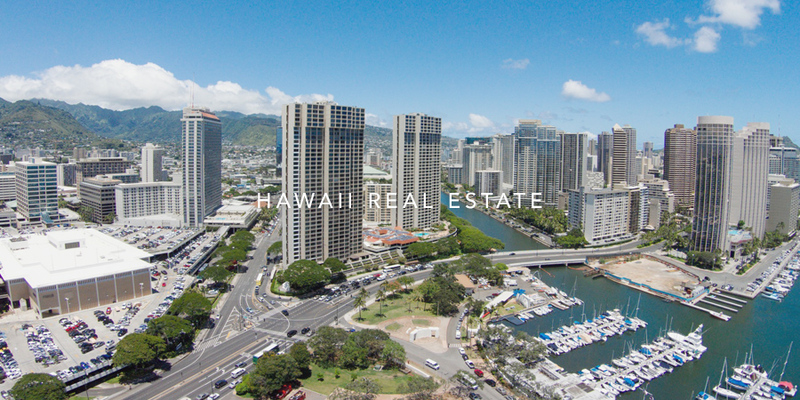 “Kakaako” is a hot topic of conversation in the real estate world. 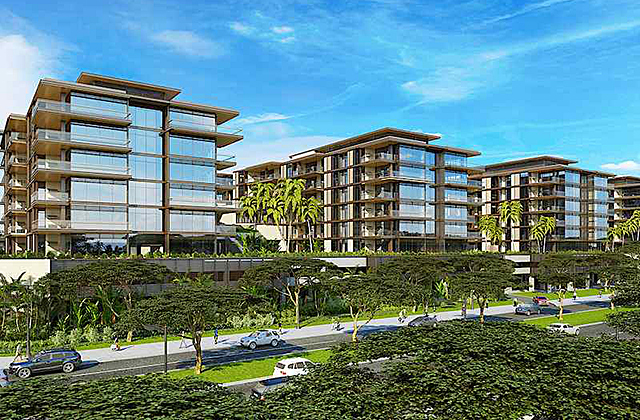 It is the area between the west end of the well-known Ala Moana Shopping Center and downtown. The ocean spans the south side of the district. 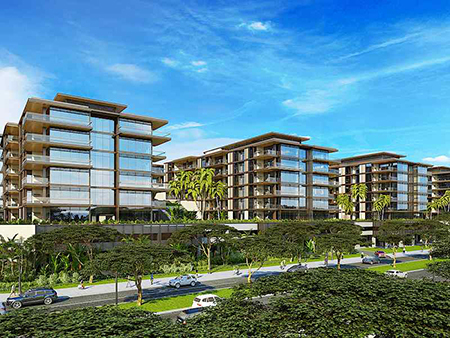 Several luxury condominium projects such as Hawaiki Tower, Hokua, Waihonua, Ko-Olani have already been built in this area and this district is developing into a new “town”. 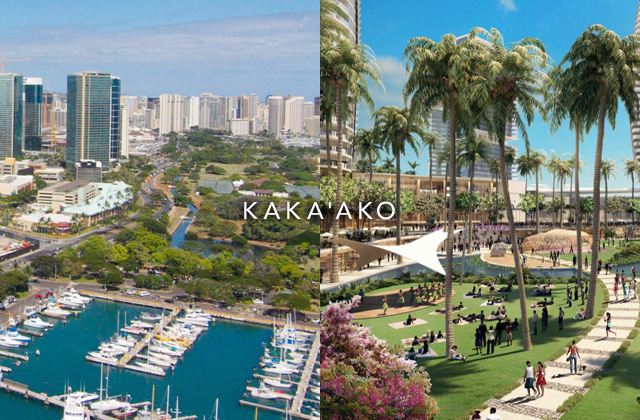 The development, backed by the State of Hawaii, is a plan to make this area the second city center after Waikiki. The attempt is to attract all aspects of activities such as “living, entertaining, studying, working” to this area by providing residences, parks, facilities for different kinds of activities, schools, and offices. A part of The University of Hawaii has already relocated to this area. 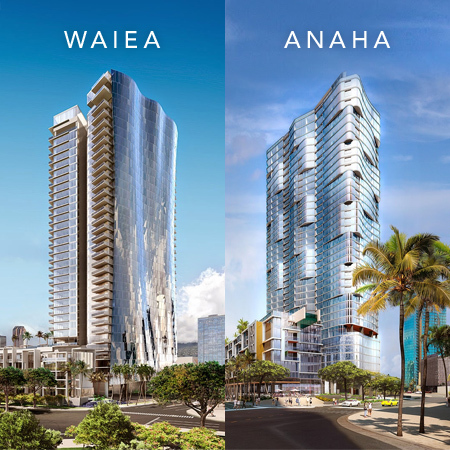 There is a slew of condominium projects such as “Waiea” and “Anaha” in the Ward Center, “Ae`o” that is to be built over “Whole Foods”, an organic super market (which is under construction), “Gateway” to be built next to the harbor, “Keauhou Place” to be directly connected to the future monorail station, and other projects such as “Symphony” and “Collection”, all scheduled to be completed during 2016 ~2019. All projects have the latest facilities designed by famous architects and commercial amenities such as cafés and restaurants on the ground floor providing a perfect living environment. The Ala Moana Center also has installed the “Ewa Wing” on the west end adjacent to the Kakaako district. Bloomingdale‘s and other stores are continually being opened and the area is gaining popularity. 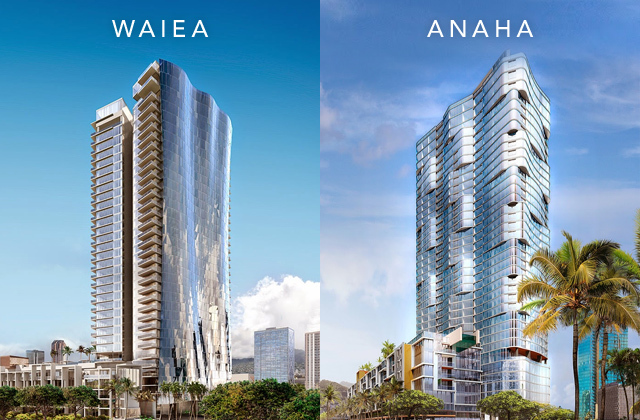 Two new condominium projects directly connected to The Ala Moana Center, “One Ala Moana” , built over the (former) Nordstrom building, and a low-rise luxury project “Parklane Ala Moana” also come up in conversation often. 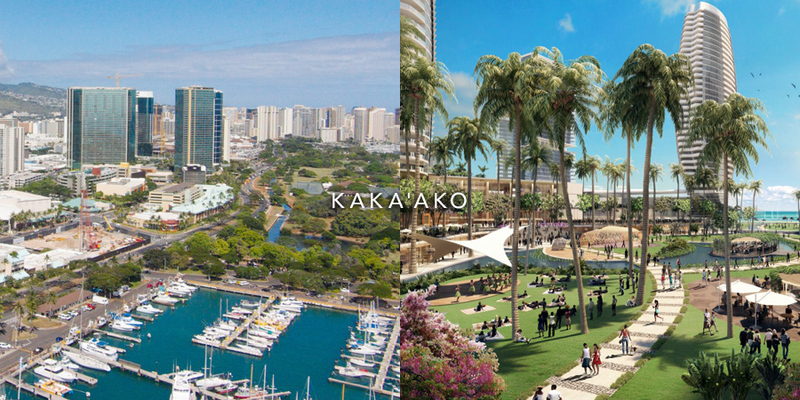 Kakaako district is often featured in Japanese magazines and television as a trendy area for its collection of fancy interior shops, restaurants and cafés. No doubt it will continue to entertain us with a multitude of topics. Thank you for visiting our website. We will respond to your inquiry promptly. Please give us as much detailed information as possible. 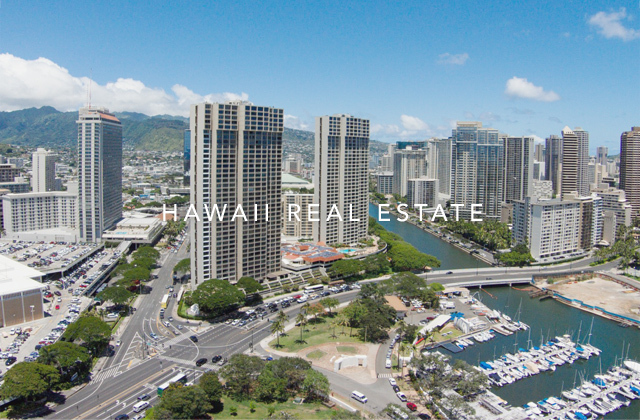 Let us help you for buying or selling Hawaii real estate. “Do the best for customers with heartfelt sincerity and appreciation” is our company motto.